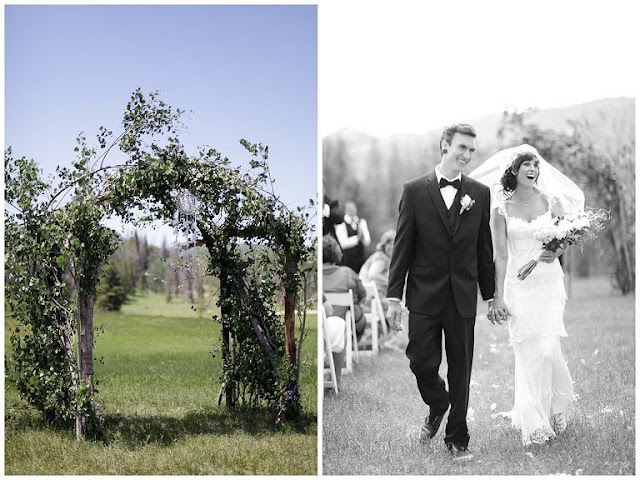 After receiving this gorgeous DIY wedding while on vacation, I was dying to get back home to feature it. 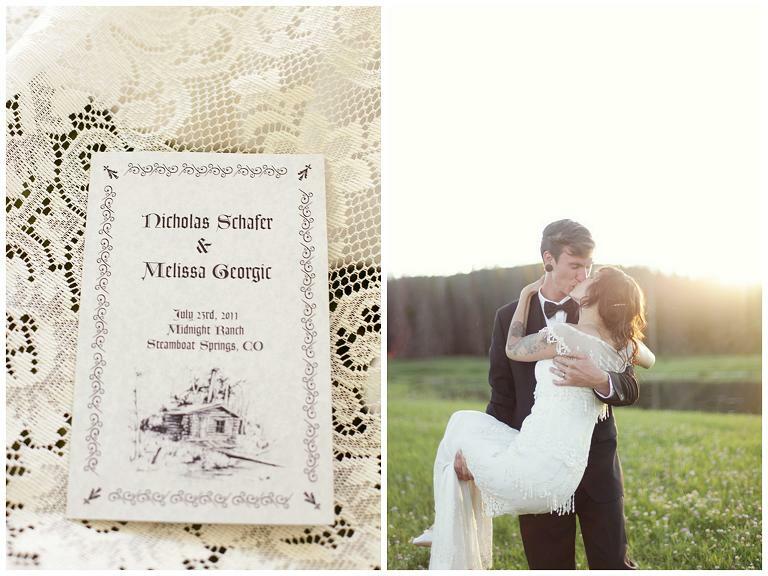 Melissa + Nick were married on a big hill with breathtaking views of the Colorado mountains. The groom and friends made all the food and sweets for the big day. They even brewed sun tea the day before with its sweet label that sat on the handmade bar. 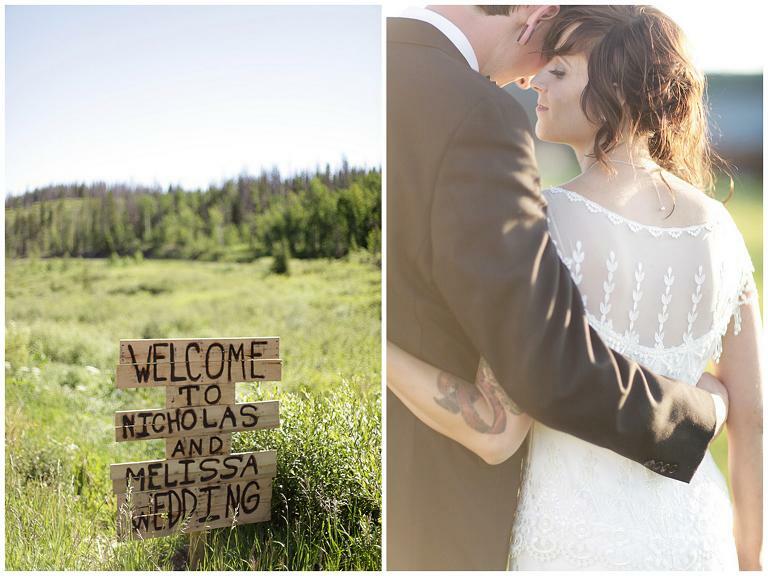 From Melissa, the bride: We felt so humbled by the amount of generosity everyone one bestowed on us. We barely had to hire anyone! Flowers were from a friend's mother that lives in Colorado Springs. Nick and I made my veil. It had clips in it that were vintage gifted from my bridesmaid Kimi Recor. The couple skipped on the traditional wedding cake and had pies instead! 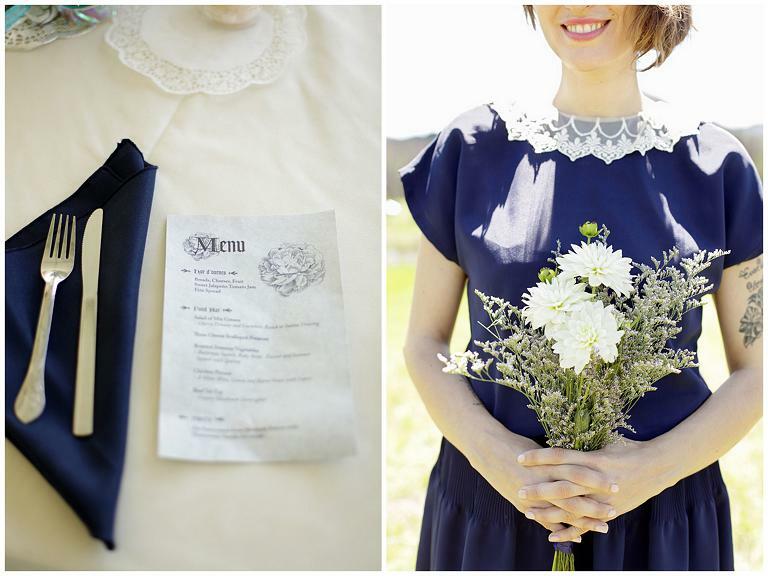 I love the lace detail on the bridesmaid's dress. I dream of working on a wedding like this one: it is so close to perfection... I love it. 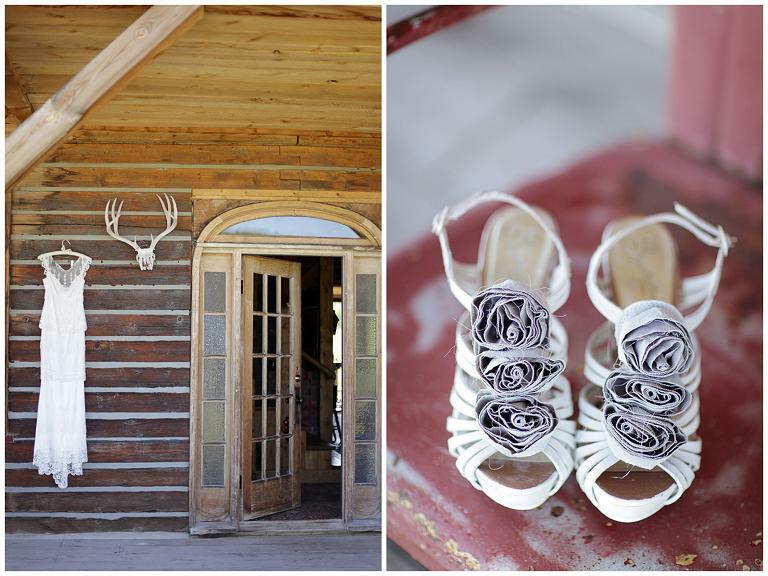 And the photography, the DIY, the details... everything is just beautiful. 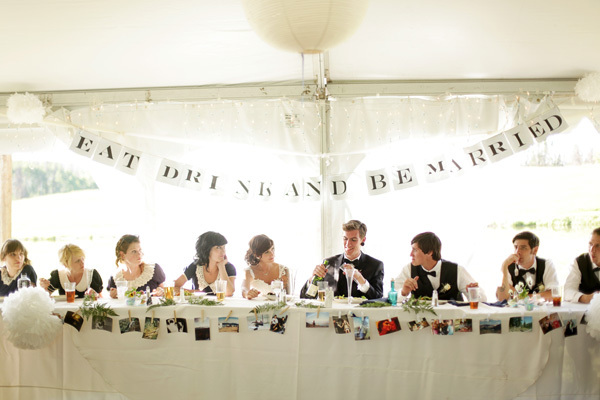 loving how that bridal party table looks - the banner and all the photos - so charming! 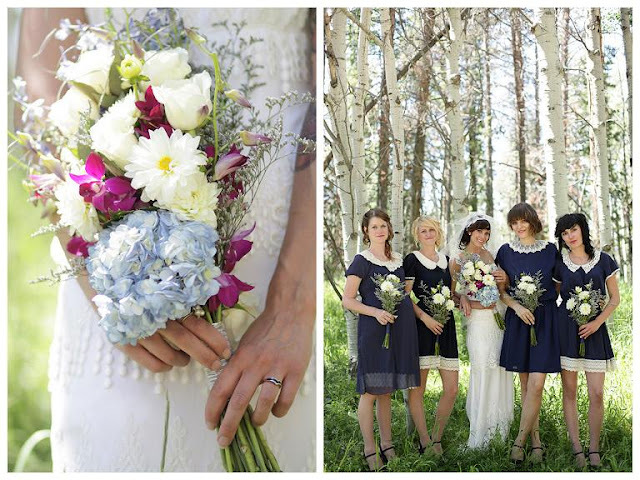 Oh, and what fun bridesmaid dresses - totally unique. Oh I love the dress and I love the simply beautiful bouquet! THOSE SHOES. 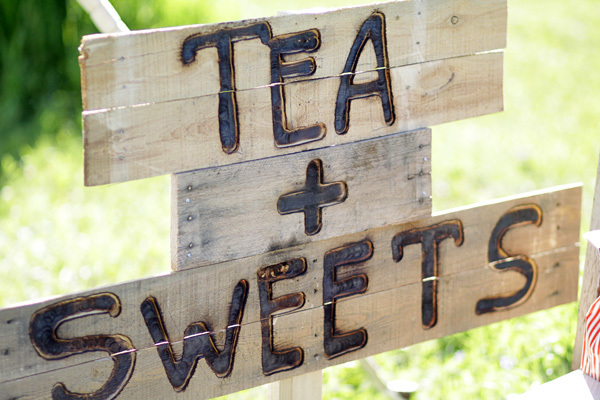 they are adorable and i love how sweet and rustic it is. gorgeous! i am in love with her dress! 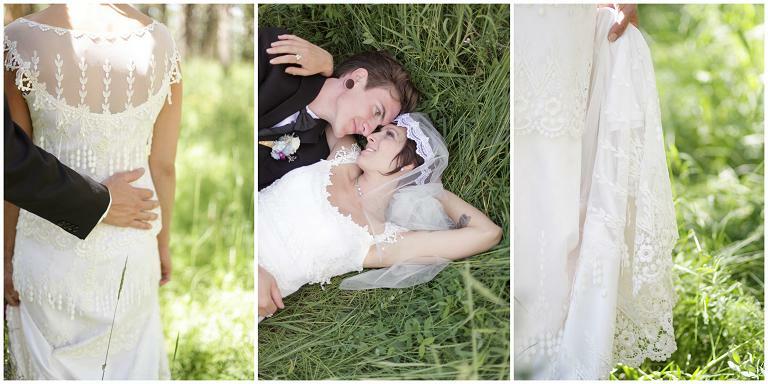 Amazing venue, gorgeous dress, and such dreamy photography! Gorgeous! 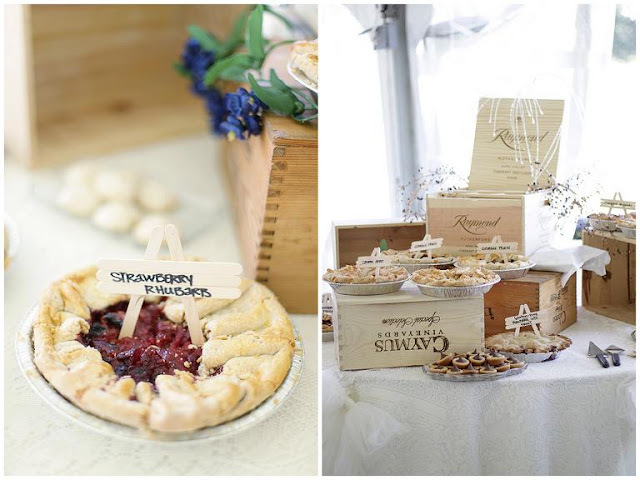 Love the pies and that sapphire bridesmaid dress! This is gorgeous! The back of her dress is just stunning! 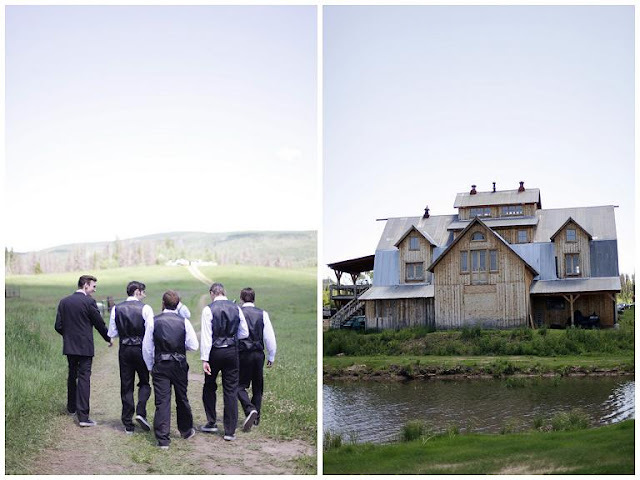 Such a darling wedding... the location is stunning and i have to say the photos are beautiful!! Love the bridesmaids dresses too!!! 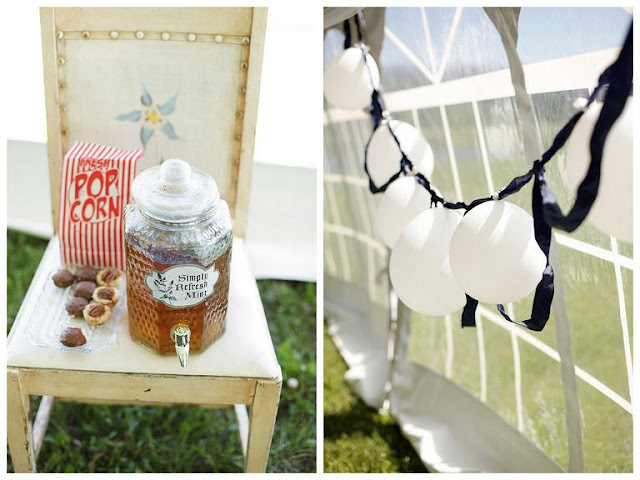 I am in love with that bunting at the wedding!!! Oh my gosh how STUNNING is her dress!! And the bridesmaids are adorable!! Love that the groom made all the food too!! 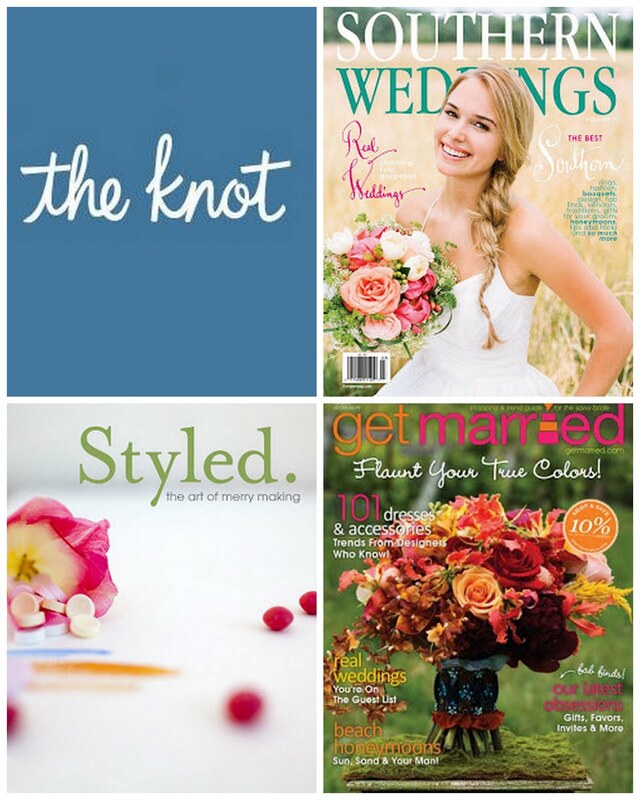 Gorgeous gorgeous wedding! Her dress is so incredibly fun. Love it, great photos had a blast! Love my brother and new sister!